The present headstones here are newly erected. The 'Cross of Sacrifice' was also built in the middle of the well-kept garden. Prior to this, the cemetery grounds had simple crosses erected on the ground for each soldier buried here. 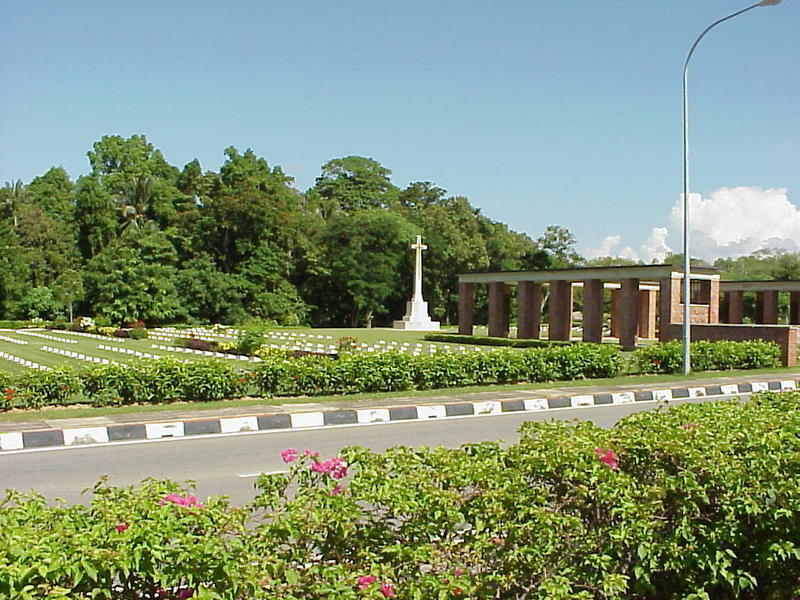 Each year in November, a Remembrance Day is held in Labuan at the Labuan War Memorial Cemetery to honour these fallen heroes. 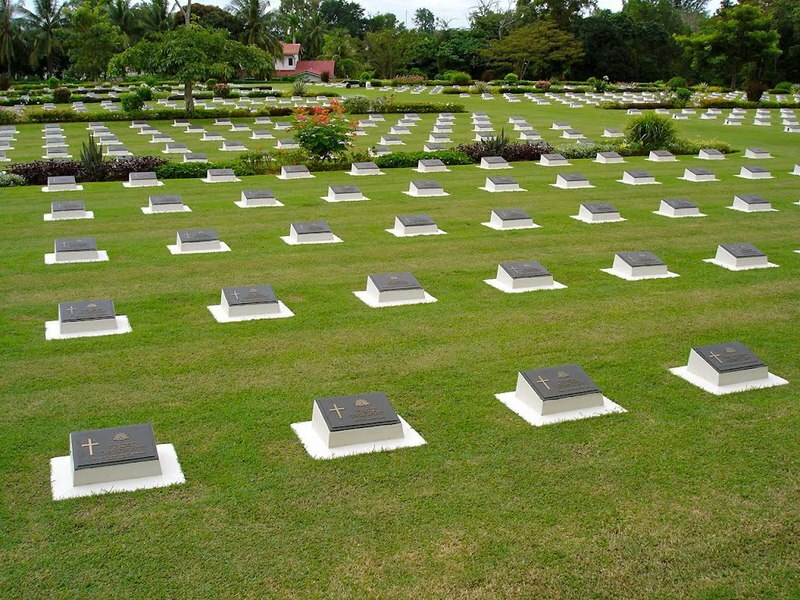 Labuan War Cemetery is on the small island of Labuan (part of Sabah, Malaysia) in Brunei Bay, off the coast of north-west Borneo. 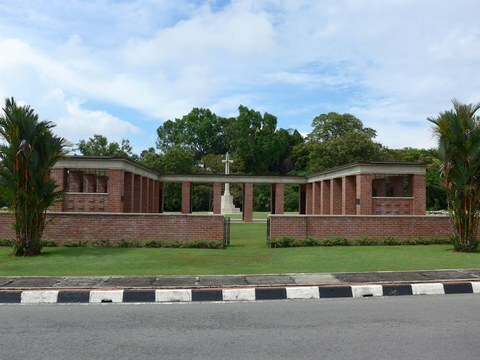 The Cemetery lies on the Jalan Tanjong Batu road, which leads from the airport to the town. It is less than a kilometre from the airport and about 3 kilometres from the island's town of Victoria. The Memorial consists of a colonnade forming a forecourt immediately inside the wrought iron gates of the main entrance to the cemetery. The memorial should not be confused with the memorial at Surrender Point which is next to the Peace Park. 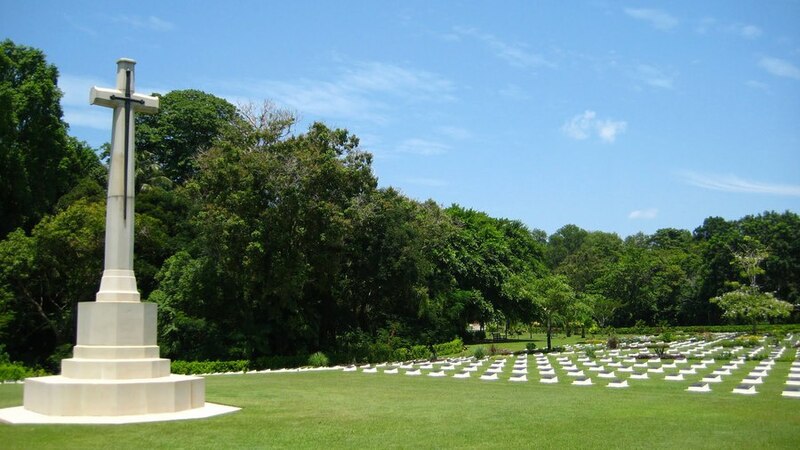 The Labuan Memorial was primarily intended to commemorate the officers and men of the Australian Army and Air Force who died while prisoners of war in Borneo and the Philippines from 1942 to 1945 and during the 1945 operations for the recovery of Borneo, and have no known grave. 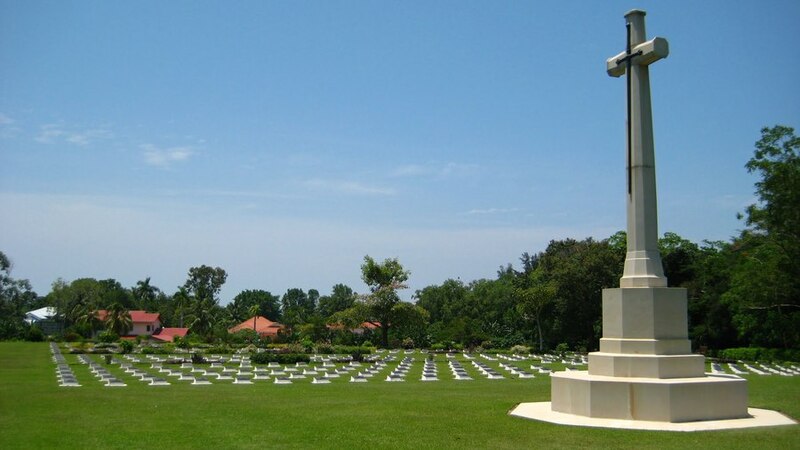 Subsequently it was found that a number of men belonging to the local forces of North Borneo, Sarawak and Brunei who were killed on war service also have no known grave, and they too are honoured here. Men of the Royal Australian Navy who lost their lives in the south-western Pacific region, and have no grave but the sea, are commemorated on Plymouth Naval Memorial in England, along with many of their comrades of the Royal Navy and of other Commonwealth Naval Forces. This memorial consists of a colonnade forming a forecourt immediately inside the wrought iron gates of the main entrance to the cemetery. On the inner faces of the pillars are bronze panels on which are engraved the names of those whom it honours and the dedicatory inscription is on the frieze facing the entrance. Some of those whose names appear on the memorial are undoubtedly buried in unidentified graves in this cemetery. (Some text courtesy of CWGC). 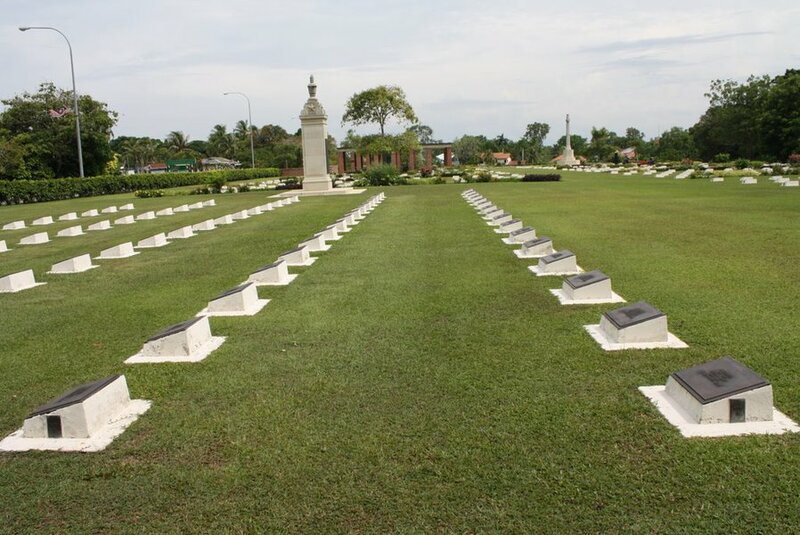 The Labuan War Cemetery was 'Officially Opened' by Brigadier W. J. V. Windeyer DSO ED, Admiistrative Command 9 Division on 28 December 1945. Sourced and submitted by Julianne T Ryan. 20/8/2014. Lest we forget.